Categories: Jewelry, Newly Arrived. 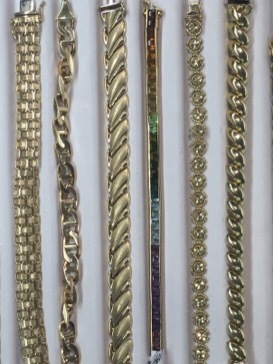 Tags: bracelets, Gold Bracelets. 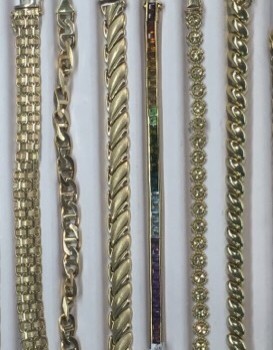 Gold Bracelets great selection some with white diamonds, blue diamonds, gemstones, rose gold, diamond cut gold and many other designs.